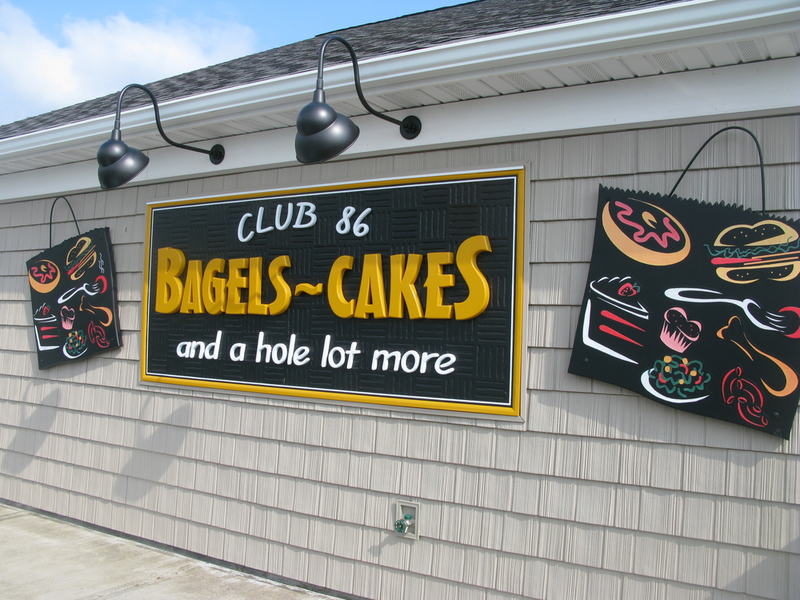 Club 86 Bagels and Cakes was opened January of 1999. It's the idea of Bill and Lori Legott from Club 86, which has been in the Legott Family since 1947. All available for eating in or taking out! Check out The Cake Lady, her famous Strawberry Layer Cake is always a crowd pleaser. We cater all types of events!! Whether you are planning a dinner party, casual get together, a corporate lunch, a cocktail reception or a sit down Wedding... The Bagel Shop & Club 86 catering can handle all of the particulars to ensure that you next party is just what you are looking for! Bagels & Cakes ~ Where people gather for good food, quick service and a warm and friendly atmosphere!